When shopping for a catamaran you should always buy the largest, most inexpensive boat, right? This is the very definition of a bargain, is it not? People tend to think bigger rather than smaller and feel confident that buying a lot more boat for a lot less money is smart. And in some ways this makes sense when shopping for a catamaran, as even very large cats are considerably smaller inside than a buyer’s home or apartment. From that perspective, more storage space can be alluring. But adopting this mindset when shopping for the right cat is actually the worst way to purchase a vessel. It is generally wiser to get the smallest and newest boat to serve your needs and budget. Consider the fact that big, inexpensive catamarans often need a substantial refit and will always cost more to sustain, maintain, insure, move, and slip. The older and cheaper a boat, the higher risk of a costly surprise lurking just around the corner, regardless of how professionally the boat was surveyed prior to purchase. Costs scale almost logarithmically with larger boats. Mistake #2: Buying a Boat that Does Not Bring You Real Pleasure. If you are a sailor and truly enjoy sailing, then buy a catamaran that really sails. As the late Harry Chaplin put it, “It’s got to be the goin’ not the getting there that’s good.” Sailing isn’t only about arriving at places; it’s about enjoying the time it takes to get to them. So you must both be proud of your boat and “connect with her” when you are sailing. As a general rule, the larger and more comfortable boats are at anchor or the dock, the slower and less comfortable they will be underway. This is especially true with catamarans. 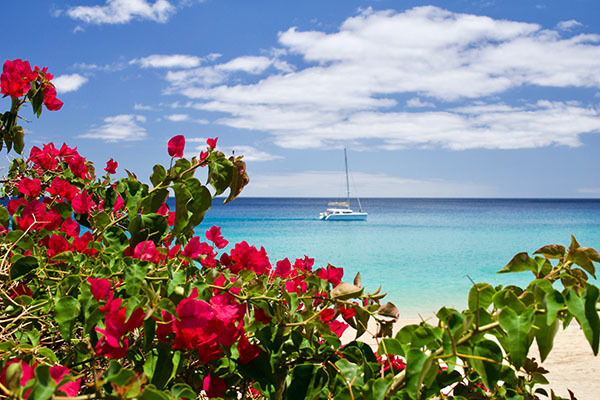 What brings you the most pleasure, however, should never be forgotten when you decide which catamaran to buy. A great many buyers regret settling for a boat that had a lot space and volume, but that they never truly enjoyed sailing. On the other hand, do not sacrifice too much comfort for the sake of speed. Finding balance is absolutely vital if you want to remain happy with your purchase. Mistake #3: Buying a Boat that is Uncomfortable. If you’re buying a catamaran to live abroad, make sure you find one you actually enjoy living aboard. This sounds simple, but remember—the vessel must be a pleasure to cook on, to sleep on, or to simply sit upon while staring into the night sky. So do you forget about mistake #2 now? No, but balancing these concerns is at the heart of making a good catamaran purchase decision. Balancing interior volume vs. performance is critical. Complicating the matter is the fact that there are usually more than a single head and heart weighing in on this decision. If one partner, for instance, wants to turn the boat into a home away from home and the other wants to dash from port to port with full wind in the sail, then those battling visions have to be reconciled to meet the reality of the marketplace. And before you get discouraged, recognize that it is possible to find the right boat—it just requires lots of meaningful discussion between all interested parties. There is no ideal catamaran that is not all full of compromises, but there are certainly boats that are far more suited to the voyages you have in mind. Once the voyage and use is decided, ask some hard questions: Is the payload sufficient for the gear I want to carry? Are the accommodations adequate for what I need? Is she fast enough for my needs? Does she have the cruising range and speed under power for the types of trips I plane to take? Remember: In order to know if a boat suits your needs, you must know exactly how you’ll use her. 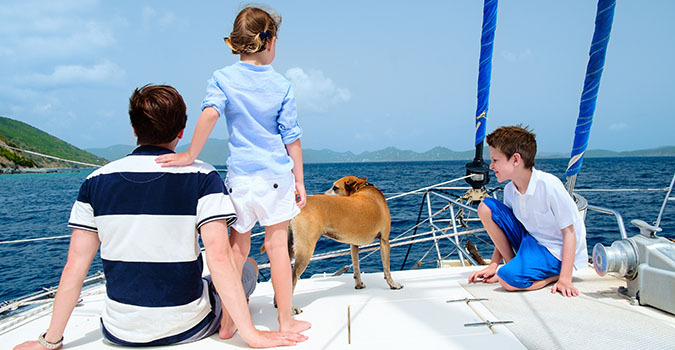 Any yacht broker will tell you that if he or she knows how a client is going to use a boat and what real budget is, it is infinitely easier to find the right boat and have a much happier customer. 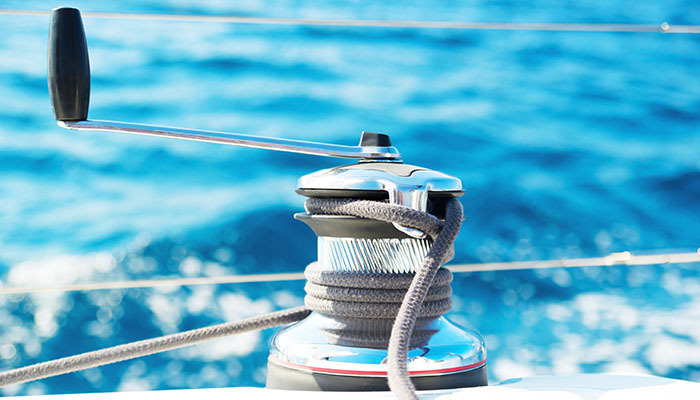 (Hint: Any yacht broker who is not asking you a lot of questions about who you are, how you will use your boat, etc, is more than likely a salesperson pushing what he has to sell, rather than an adviser who has your best interests at heart). People who buy boats come with a wide range of competencies and talents. Some are quite skillful sailors and seaman who have great handling and navigational skills. Others have much to learn and are eager for the guidance. Still others are pretty good sailors, but not very strong mechanically and struggle to maintain their boats properly. When buying a boat, it is critical to make sure you can handle it and to know that it will not prove too daunting to sail or maintain. Consider that near-coastal sailing and island-hopping are, to some extent, more demanding from a seamanship standpoint than blue water sailing. When you are day sailing or island-hopping, you may raise and lower your sails twice a day and make many maneuvers. When blue water sailing, you might raise your mainsail on day one and remain on the same tack and with the same reef for 10 or more days. To some extent, a blue water boat can and should be larger—it is not going to be so taxing or difficult to sail long distances and will give you a better turn of speed and more payload capacity than a smaller boat. So, making sure you have a clear idea of your own skill sets or your plan to address any shortfalls is as critical as knowing where and how these skills will be applied during your journey. Take the time to be honest with yourself, your crew and others when assessing your talents. Then look at your dream agenda. Do they match? If not, what do you need to do to make certain they do? What do you need to adjust on your dream list in order to buy the yacht that best matches you? ever find of a boat of this brand and vintage, regardless of her year of build. Chances are such a boat cannot even be found. But it is important to know, if such a boat did exist, what is the most someone would ever pay for her in the current market, in her current location? Then, when you go in search of a used boat you must subtract from that Bristol value all the things that keep her from being worth top dollar. Does she need new engines? A new generator? We have all learned to apply some degree of skepticism to what we read on the Internet. But it is wise to also consider the old adages about buying and selling and loving and hating boats when trolling the web for insight on particular models, and even certain travel agendas. The blogger may not have extensive boating experience or perhaps does not fully grasp the pros and cons of the particular catamaran model he or she bought. Perhaps there was a better boat for him or her than the one settled upon, but he or she may want to share some insight nonetheless. Be careful about reading too much into these often emotionally-charged declarations of love or hate. Of course, there is good information on blogs, but it is wise to blend it with more seasoned and exacting intelligence on the varieties of boats out there and then pair it with your own set of needs and talents when asking yourself what boat to buy. When you are shopping for a boat, you can look at images of a variety of models online and read the specifications of boats from all over the world. But the one thing you can’t do by looking at these images is to assess the value of the boat in the condition it is in right now. This value will vary enormously by brand, year, configuration and the condition and inventory of the yacht for sale, as well as the market conditions and currency valuations at the time of purchase. Every boat has a value, whether it is sitting upside down on top of a reef or resting at the dock after rolling out from the shipyard. The trick when buying a used boat is to establish her “Bristol” value. So what is a Bristol boat? A Bristol boat is a boat that has been maintained and operated by a perfectionist—perhaps a former military pilot or a nuclear safety engineer. In other words, it is the best possible example you could ever find of a boat of this brand and vintage, regardless of her year of build. Chances are such a boat cannot be found. But it is important to know, if such a boat did exist, what is the most someone would pay for her in the current market, in her current location? Then, when you go in search of a used boat you must subtract from that Bristol value all the things that keep her from being worth top dollar. Does she need new engines? A new generator? Fresh paint? New standing rigging? The list is long, and a wise buyer is able to take a calculator onto a boat and have a very good idea of what it might cost to take any boat he or she is interested in and put her into Bristol condition. Usually, such an analysis generally leads to four. Most used boats can’t be brought back into Bristol condition without far exceeding Bristol value, so beware of the fixer upper. If you can’t afford a Bristol boat, make sure you never put more money into the boat than her Bristol value, or else you will be upside down when you go to sell her. If you lack the budget to get a really top condition boat, do not get drawn into the trap of thinking it has to be Bristol to do its job. In other words, if you can live with a boat that has some cosmetic issues, live with it. As long as she is seaworthy and serves your needs, she does not have to look brand new. 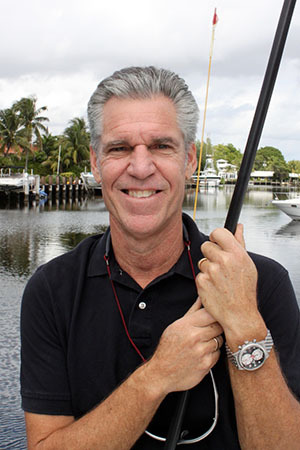 Do not overinvest in your boat and it will pay off when you sell. If you are a perfectionist who simply cannot live with anything less than a perfect boat, a new boat may be better suited for you. (And that too will be imperfect, but that is another article!) The fact is, boats always need care and maintenance to sustain their value and seaworthiness. Be sure to properly balance each. Never forget that boats come in a range of qualities. There are BMWs and there are mid-level Fords, and you can’t take a lower-level yacht and make her a higher-level yacht without overspending. You need to know yourself well to avoid falling into the trap of trying to turn an average boat into something far nicer. In the end, budget will often be the determining factor here, and you are always left, to some extent, with the same choice: either get a smaller, higher quality yacht or a larger, lower quality yacht. Accept your choice and get down to the business of having fun.